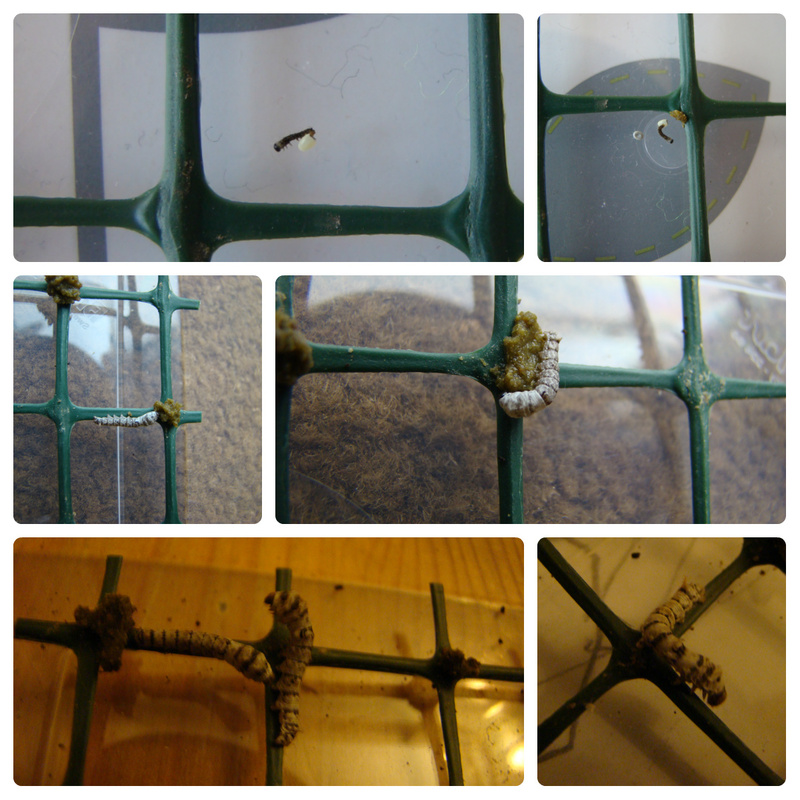 It has been 7 weeks since I posted about our Bug Zoo so I thought it was about time I did an update. The woodlice are thriving in their home. We started with around 10 but added several more over the following few days so I don’t know exactly how many we had initially. We’ve got several different types – there are around 35 different species of woodlouse native to the UK! We have large reddish-brown ones, pill bugs (the ones that roll up into a ball), and both large and small grey ones. 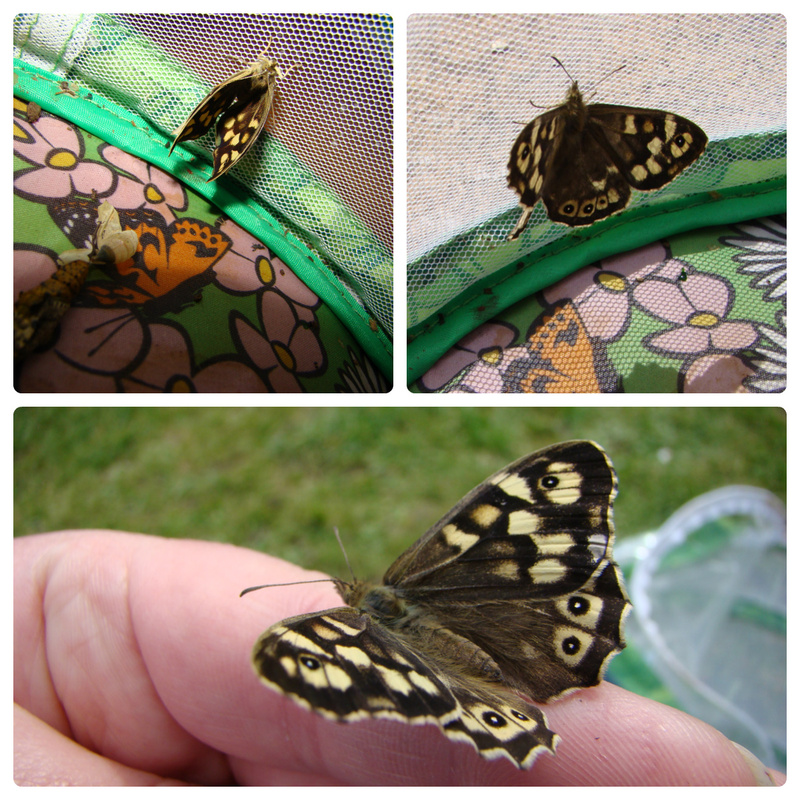 The crysalyses that we found turned out to be Speckled Wood Butterflies. They all emerged and were released The worms and beetle we also had in the Big Zoo to start with have been released back into the garden. Every day now Jasmine goes outside and collects bugs. She uses any tool available, from a net to a jam jar! She is getting to be an expert at catching flies, and is also quite taken by spiders at the moment! 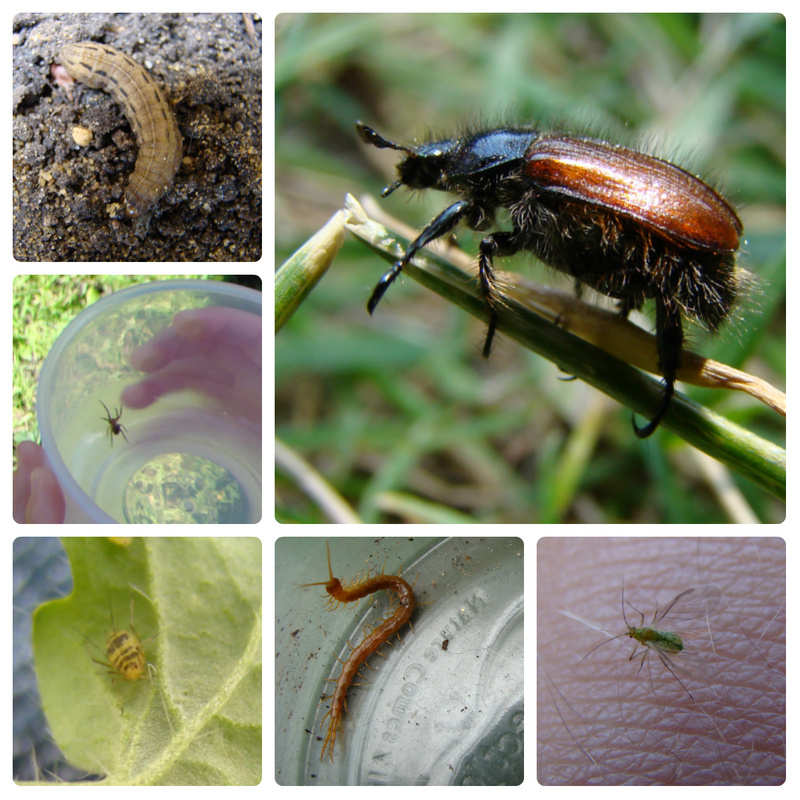 Here is a selection of other bugs we have found in garden in the last 7 weeks. We have also found weevils and ground beetles but I don’t have any photos of these. It is amazing what you can find in your garden when you look closely!